As we first reported in 2009, while the sales price of the then Mayor’s new abode at 1581 Masonic was reported on the MLS as “confidential,” it was a plugged-in tipster that tipped us off to the $2,738,000 contract price of the District 5 home which had been listed for $2,980,000 (the number which would have been used for MLS based stats). 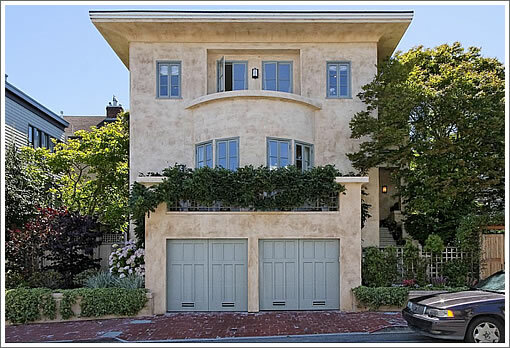 With the Newsoms now moving to Marin, their 3,051 square foot home on Masonic has hit the market listed for $2,750,000. This has been on Barbra Callans site for a while now so they have been quietly marketing this home for a bit here. This will be interesting to watch. sf design: looks like a fair contribution from Restoration Hardware according to their current catalog. What does it say about a city when the former mayor cannot wait to move out? I think it says more about the mayor than the city. I liked the furniture when it was in his condo at 1101 Green, but it doesn’t really fit here… The remodel of this place looks fairly tasteful, but it’s hard to tell from the photos. It seems a little cramped. It’ll probably sell for asking fairly quickly given his contacts. I have no real opinion on his Marin move… It’s such an odd family. Maybe Jennifer really does want to spend more time with her father. If you don’t remember… he was gored by an elephant while on safari a couple of years ago. > couple of years ago. To be perfectly honest, I find it a bit odd when anybody gets gored by an elephant. Opps! I read that article a year ago and for some reason was a little confused. Yes, it wasn’t her dad… Her dad is Ken, Tom was one gored by the elephant.. lol.. Already sale pending in 4.5 days. Wow, everyone wants to live where the mayor used to live! I never know what to think about these sales. Remember his condo at 1101 Green sold for only 2% under asking one month after it was listed in 4/09, which was pretty much the nadir of the high-end condo market. Now this is in firm escrow “a few days” after it was officially listed. 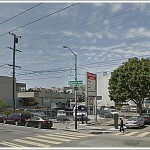 As I said, Newsom clearly has the contacts to dump a property fast. I’m also sure the agent already had a buyer lined up well before it hit the market. She did the same thing with 3176 Washington. Unofficially on the market for months… Officially on the market and sold in a week. Gotta keep those days on the market low I guess..
Da – yum. That was fast. Good to be a seller when you have the ability to influence big political decisions.